The UK Supreme Court has held that information provided by taxpayers to HMRC is confidential and that HMRC acted unlawfully by disclosing such information to journalists. Ingenious Media Holdings plc is an investment and advisory group, whose business includes the promotion of film investment partnerships. In June 2012, two journalists from The Times, Mr Alexi Mostrous and Ms Fay Schlesinger, approached HMRC for an “off the record” discussion relating to tax avoidance to inform their background investigations for a proposed article. The journalists had a 75-minute meeting with Mr David Hartnett, the then Permanent Secretary for Tax at HMRC, during which Mr Hartnett made various disparaging remarks regarding Ingenious Media and its founder and CEO, Mr Patrick McKenna. This resulted in an article mentioning Ingenious Media and Mr McKenna being published in The Times on 21 June 2012. The statements by HMRC were made despite the fact that Ingenious Media had at all times been entirely open with HMRC about the financial structure of the film investment partnerships, had engaged and cooperated with HMRC for many years in relation to them and – at the time of the meeting between Mr Hartnett and the journalists – was still waiting to hear from HMRC in relation to them. Ingenious Media and Mr McKenna subsequently brought a claim for judicial review of HMRC’s actions in disclosing information to the journalists. The High Court held that HMRC was justified in providing details about the Claimants to journalists in an “off the record” discussion about tax avoidance. 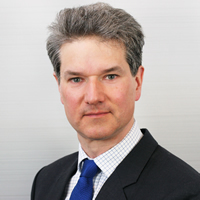 Mr Justice Sales rejected the submission that HMRC had breached its duty of confidentiality in Commissioners for Revenue and Customs Act 2005 (the “CRCA”), s. 18(1), which provides that officials may not disclose information held by HMRC in connection with a function of HMRC (unless an exception applies). The key exception for the purposes of this case provided that disclosure is permitted which “is made for the purposes of a function” of HMRC (s. 18(2)(a)(i) CRCA). Mr Justice Sales held that there was “a rational connection between the function of HMRC to collect tax in an efficient and cost-effective way and the disclosures made by Mr Hartnett in the course of the briefing” which fell within “lawful parameters“. He stated that although there was an “interference” under ECHR, article 8(1), this was justified under ECHR, article 8(2) as proportionate. He also rejected the argument that there was a breach of ECHR, Article 1 Protocol 1 concluding that the provision did not: “disable state authorities from using other, less drastic means of trying to influence behaviour of the public where there are legitimate reasons for doing so.” The argument that there was an abuse of power was rejected on the grounds that Mr Hartnett had not targeted the Claimants. Ingenious Media and Mr McKenna appealed and were given permission to appeal to the Court of Appeal. The Court of Appeal upheld the High Court’s decision. The Court held that the disclosure by Mr Hartnett to journalists did not breach s. 18 of the CRCA. Sir Robin Jacob, giving the leading judgment, stated that a wide view was intended in the construction of the disclosure as “a function of HMRC” and could extend to the function of “raising more tax revenue“. The court also held that neither ECHR, Article 8 nor Article 1 Protocol 1 were breached. Sir Robin concluded that “it was entirely in the public interest that HMRC should let the public know its views about these schemes“. Ingenious Media and Mr McKenna appealed the decision and were given permission to appeal to the Supreme Court. The Supreme Court took a very different approach. Lord Toulson gave the leading judgment (with whom all the other Justices agreed). He considered that the information in question was simply confidential since it was “well established … that where information of a personal or confidential nature is obtained or received in the exercise of a legal power or in furtherance of a public duty, the recipient will in general owe a duty to the person from whom it was received or to whom it relates not to use it for other purposes”. For a taxpayer, “HMRC’s entitlement to receive and hold confidential information about a person or a company’s financial affairs is for the purpose of enabling it to assess and collect (or pay) what is properly due from (or to) the tax payer”. As regards the effect of s. 18 of the CRCA, Lord Toulson rejected the interpretation of disclosures made “for the purposes of a function” proposed by HMRC, about which he said “it would be hard to conceive a wider expression”. He noted that HMRC’s interpretation would have two consequences. Firstly, it would mean that some of the “subsequently listed specific exceptions [in s. 18] are otiose”. Secondly “it means that the protection which would otherwise have been provided to the taxpayer by HMRC’s duty of confidentiality will have been very significantly eroded by words of the utmost vagueness”. To construe the words in accordance with the interpretation contended by HMRC would this be contrary to the “principle of legality”. Lord Toulson noted the frequently quoted words of Lord Hoffmann in R v Secretary of State for the Home Office, Ex p Simms  2 AC 115 that “Fundamental rights cannot be overridden by general or ambiguous words” and said importantly that “while Lord Hoffmann said that this presumption will apply “even” to the most general words, but I would say further that the more general the words, the harder it is likely to be to rebut the presumption”. These words have potentially wide reaching application in relation to the interpretation of statutory provisions. For these reasons, the prohibition on disclosure in s. 18(1) was to be understood to reflect the ordinary principle of taxpayer confidentiality and s. 18(2)(a)(i) created a limited “exception by permitting disclosure to the extent reasonably necessary for HMRC to fulfil its primary function” (emphasis added). The Supreme Court therefore delivered a helpful reminder that in judicial review cases it should not be assumed that discretion should always be afforded to a decision maker exercising a public function. Where ordinary private law principles apply, the rationality of the decision maker may be irrelevant. Lord Toulson was also dismissive of the specific justifications put forward by HMRC for the disclosure. He said that “a general desire to foster good relations with the media or to publicise HMRC’s views about elaborate tax avoidance schemes cannot possibly justify a senior or any other official of HMRC discussing the affairs of individual tax payers with journalists”. As regards whether “the conversation might have led to the journalists telling Mr Hartnett about other tax avoidance schemes” that “appears to have been no more than speculation, and is far too tenuous to justify giving confidential information to them”. This was a thorough dismissal of HMRC’s approach and a resounding reaffirmation of the importance of the confidentiality of information provided by citizens to public authorities. As a footnote, currently the Government in the form of the Digital Economy Bill, the Government is seeking to legislate to permit the freer movement of information among public authorities. This judgment underlines the importance of a proper statutory basis for disclosures by public authorities. Ingenious Media and Patrick McKenna were represented by Hugh Tomlinson QC and Jessica Simor QC (both of Matrix Chambers), instructed by Olswang LLP. Leave a reply on "Case Comment: R (Ingenious Media Holdings plc and another) v Commissioners for Her Majesty’s Revenue and Customs"